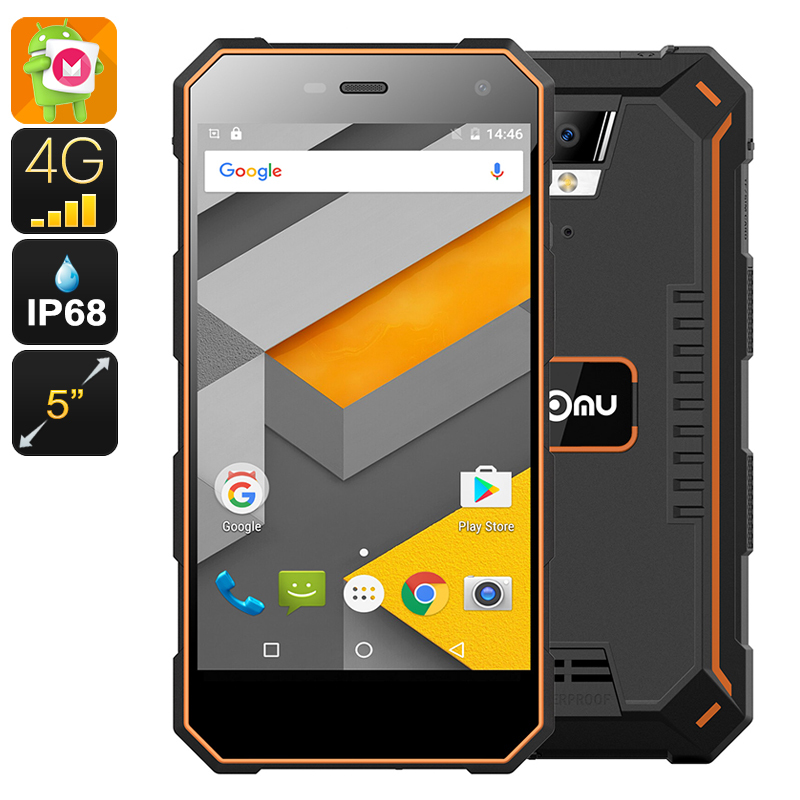 Successfully Added NOMU S10 Rugged Android Phone - Quad-Core CPU, Android 6.0, 4G, IP68, 5 Inch IPS Screen (Orange) to your Shopping Cart. The Nomu S10 may be the entry level phone from this rugged phone specialist but is still boast some very enviable spec. Taking pride of place is a 5 inch IPS screen with 1280x720 resolutions and covered by Corning Gorilla Glass 3 for added protection. This brings very respectable viewing quality and is more than enough for viewing HD content or top flight games. under the hood is an MTK 6737T SoC which is a quad core 64Bit processor clocked at 1.5Ghz. this is paired with 2GB of RAM so the Nomu S10 rugged phone zips along without any noticeable lag and can handle all the media and gaming needs you are likely to require. Having 4G network support on both of its nano-SIM card slots the Nomu S10 provides great network coverage - ideal for frequent travelers to avoid roaming charges or for more comprehensive coverage using two network providers. Alternatively, the second SIM card slot can be used to expand the 16GB of onboard memory with another 32GB of space. Packing an insanely large 5000mAh battery means the Nomu S10 rugged phone can keep going for longer brining and amazing usage time and with Quick Charge technology it is quickly recharged once it finally does run down. With its ruggedized body, the S10 is an ideal phone for outdoor environments making it a top choice for use on a construction site or for adventures as its IP68 rating makes it fully waterproof and dustproof so it can withstand anything you throw at it. The Nomu S10 Rugged phone comes with 12 months warranty, brought to you by the leader in electronic devices as well as wholesale Android phones.. I love my phone. It works wonderfully and I have not had any problems with it. It is very durable and so far so good! I told many people about it and many people want one.